Specifically designed for use with the Ilumina Digital Color Press. The drum is an integral part of the printing process, and ensures superior graphic prints. The approximate life expectancy is 42,000 prints on letter size paper at 5% coverage. Specifically designed for use with the Ilumina Digital Color Press. This set of CMYK drums are an integral part of the printing process, and ensure superior graphic prints.The approximate life expectancy is 42,000 prints on letter size paper at 5% coverage. Specifically designed for use with the Ilumina Digital Color Press systems and printers. Collects all waste toner to maintain clean output. The Drop Stacker is the perfect solution for shops that have a limited work space. It can be set-up to catch envelopes, cards and sheets from 4.7″ (11.9cm) x 13″ (33cm) up to 17.5″ (44.4cm) x 13″ (33cm). It can catch up to 350 envelopes or 2420 sheets of 20 lb bond (75 gsm). 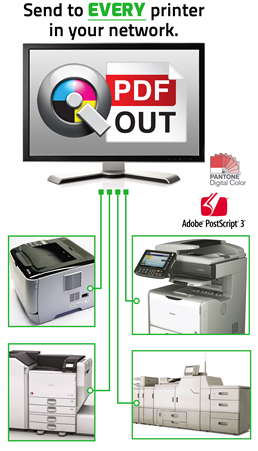 The En/Press Digital Multi-Media Press offers users an affordable way to go digital and meet the demand for fast, full-color printing. 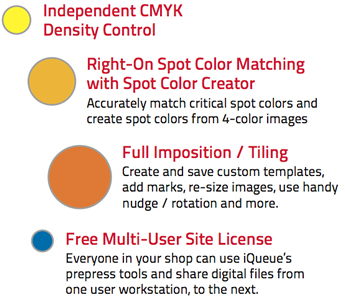 The complete digital solution is powered by iQueue Workflow that offers new file editing options, new variable data manager, advanced color correction tools and more.